Looking north from here, before leaves appear on all the line-side trees, there are two semaphores in view – Neasden Junction’s down (southbound) section signal nearest the bridge, with its up outer home signal also in view as the line bears round to the right, a signal that can’t be seen when there are leaves on the trees. Turning south, the former northbound platform of Harlesden station can be seen just beyond another bridge carrying Craven Park Road, with Neasden Junction’s up distant signal standing at the end of the platform. It is held up by a supporting wire anchored to the embankment and appears to no longer work – with the remains of a signal wire visible alongside the southbound running line. Spending a couple of hours here on Monday (25 March 2019) between about 13.00 and 15.00 showed what an important Cross-London link this remains, with a total of five trains passing, comprising three northbound freights, one heading southbound and finally Network Rail’s two Class 73 locos (73951/2) on a move from Derby to Ashford. Pictured in this sequence are a trio of Class 66 locos – 66161 on a working from Cliffe Brett Marine to Neasden, 66705 working southbound with a service from Cricklewood to Calvert, then 66104 with a northbound working from Whatley Quarry to Churchyard Sidings. 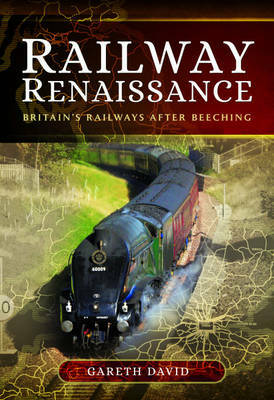 My new book “Britain’s last mechanical signalling” is being published by Pen & Sword Books in June.